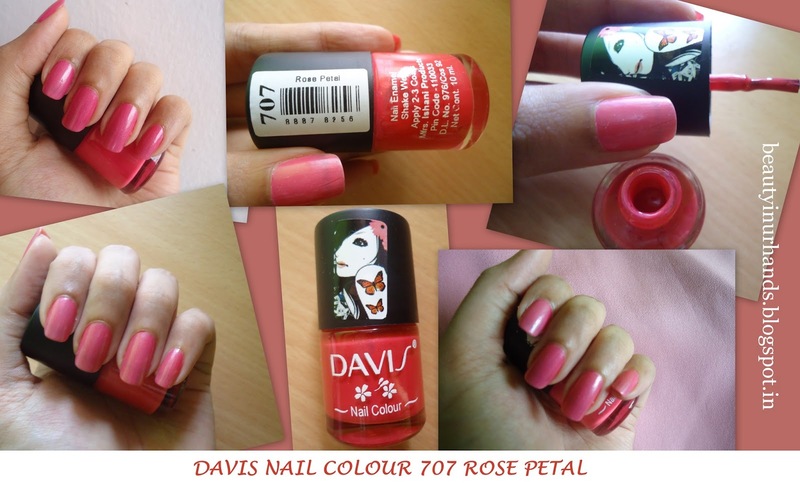 I’m currently wearing Davis Nail Colour in the shade Rose Petal. The Davis nail colour range is priced at just 35 INR which is a steal considering the fact that the colour lasts for as long as 2 weeks without chipping off. There are many shades available in this range. I’m definitely buying more of these.